Less than a day after breaching Louisiana’s southern coast in 2005, Hurricane Katrina traveled upward through Kentucky. The storm eventually dissipated, but spread heavy rainfall as far as Quebec. Hurricane Sandy followed suit after hitting the Mid-Atlantic in 2012, reaching Montréal before dying out and proving far more life-threatening. The capital of Ontario is looking deep into its residential sector, some of which is financially sensitive to flooding and power outages. Energy resiliency and the use of alternative power sources is therefore a key factor in mitigating these risks. 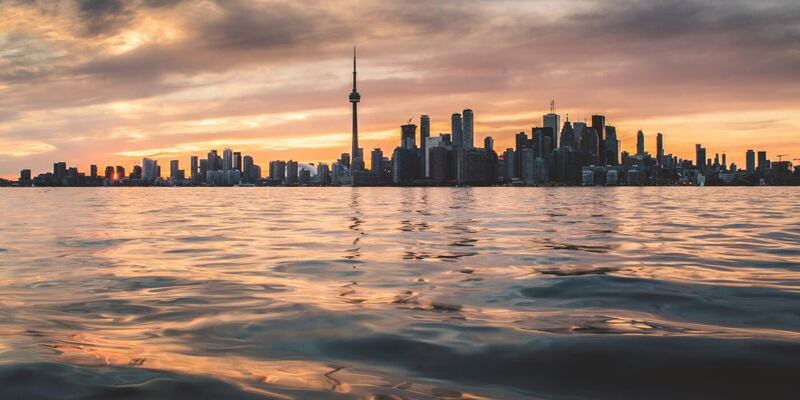 The city has developed a climate change risk assessment tool, software that interprets weather-related threats so public transportation and housing services can adapt quickly and limit their cost to people across Toronto. Future organics processing operations will ultimately further that goal by using residential waste to create green, gas-based power, keeping this major utility system from increasing the demand of an expensive provincial grid. Montréal saw one of its few encounters with cyclones when it received the tail end of Hurricane Sandy five years ago. The city is particularly concerned with water and power during these events. Montréal has done a number of things to shore up its data center facilities, which house information that local businesses depend on. The city has specifically agreed to host a cloud-based data center for Google, allowing its Canadian customers to put more data in a virtualized environment so it’s safer in the event of a disaster. A year after Hurricane Sandy brushed against Montréal, Calgary suffered a downtown flood that cost the city more than any other natural disaster in the country’s history. Enduring these events is crucial to its infrastructure, and this city is the third of four Canadian members of the 100 Resilient Cities initiative. Flooding of this magnitude can cause water turbidity (cloudiness from bacteria) to rise, and it’s more than the Bearspaw and Glenmore water treatment plants can handle. Both plants have since invested in new ACTIFLO® clarifiers and increased their capacity to 550 million liters of water per day. Projects like the Emergency Preparedness Initiative of Calgary (EPIC) are also helping United Way, the Canadian Red Cross and other non-profits better coordinate their responses in the event that citizens are hurt or cut off from clean water after a storm. British Columbia’s mild seasons and beautiful landscapes make it a desirable place to live, but coastal communities like Vancouver face many physical challenges, from sudden emergencies like tectonic shifts to long-term threats like forest fires, intense rainfall and rising sea levels. Vancouver and its Parks Board are working to regrow urban tree canopy, which helps manage rainwater and provide wildlife habitat. The city completed a Coastal Flood Risk Assessment to identify ways to preserve and adapt vulnerable areas of Vancouver for future floods. A new green infrastructure team will also help build community resilience to heavier and more frequent rainfall. Three of these cities were recently ranked the three most resilient cities on the planet, according to The Guardian. Learn more about the 100 Resilient Cities project and New Orleans’ recovery from Hurricane Katrina in the video below.